FYI, a whelping box, sometimes called nesting box or birthing box, is where your pregnant dog will feel comfortable enough to safely contain her puppies during their first days and weeks after birth. A very good-quality plastic whelping box is designed to protect the litter from the cold and the dangers they could face if they were able to roam free. We know you want a whelping box that works well and looks great. We produce the best whelping box for dogs which comes with a lower rail called piggy rail to protect the puppies from being crushed or stifled by the mother. Here, you will find a whelping box for dogs, whelping box for bedding, puppies whelping box, and much more. The Canine Whelping Box for sale can be found here. The plastic whelping box designed by us are having a food grade PVC that is sustainable. We ensure your puppies whelping box would not only be easy to use, but easy to maintain. A quick wipe with a rag and vinegar every day will remove any dirt or debris making maintenance easier than any other material! Installation of the whelping box for dog will be put together in no time since all you need, a screwdriver! All rails slide into place easily, quickly and conveniently! 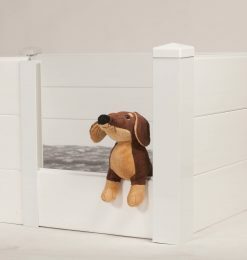 Puppy rails are specially designed for the puppies whelping box, so puppy never stops in a corner, they just keep turning in a circle around the box. Our unique box design of Canine whelping box uses rubber liner pad to create a non-movement surface. We offer attachable weaning pen areas for your newborn puppies. Small weaning pen areas force puppies to use the area for potty training and not for sleeping and playing. A Canine whelping box is a breeder’s best tool that can easily be taken apart and stored flat. Our Canine whelping box for dogs and puppies offers sizes from small to large to meet the needs of every breeder. If you need a whelping box with different specifications than mentioned here, we can make it fit your application. 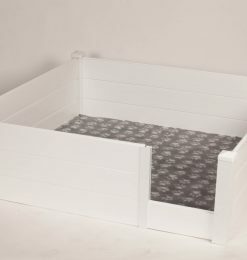 Check Our Whelping Box On Sale! Whether you have a small, mid-sized, or large breed of dog, we have a whelping box for your loving pet. 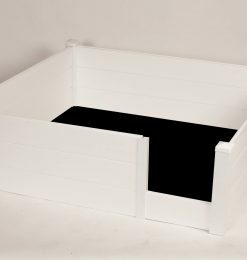 Here you can find different sized whelping boxes for sale having dimension range from 3ft x 3ft to 5ft x 5ft. From simple whelping boxes to the deluxe whelping box containing an extra area for the puppies to roam around, from small budget to the budget which has no bars against the love to the dog, all you can find here at Canine Whelping Box. We make not only best whelping box beddings, but weaning pens, absorbent lennypad, non-slip vetfleece, ID band, and a heating pad for puppies are also being manufactured by us. A heatpad lasts for up to ten hours and is perfect for using in whelping boxes. Our pet heating pad contains no wire so safe for mother dog and puppies and is scratch and bite resistant for last long use. The washable collar ID bands are a great thing to use for the identification of puppies or kittens. The ID bands are coming in different colors so you can easily identify a particular puppy. The color bands are durable, having soft material, and can be adjusted for the growth of puppies. The ID bands are very useful because all the puppies look same when they are uummmm…. Puppies! The non-slip vetfleece is a medical grade whelping box bedding for the puppies. 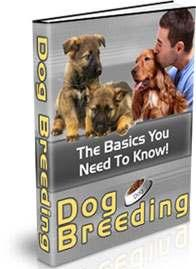 It is very helpful if the puppy is sick or if you have whelping pets at home. The soft and comfortable vetfleece retains the heat to give warmth and cozy feeling to the animal breed. Our lennypads are leak-proof, washable, and eco-friendly which will save your money and make sure that you do not need to clean the pee stuff! Our weaning pens are made with the same durable material used in the puppies whelping boxes. They are having three additional panels including two side panels and one front panel. The whelping pens will allow the puppies to move around the area while being safe. We assure you to get the best whelping box for dogs in the market at the affordable prices. Visit our shop and buy the best whelping box available for sale and give your puppies and their mother dog a safe and comfortable place. Enter your Name and Email to get eBook right now.